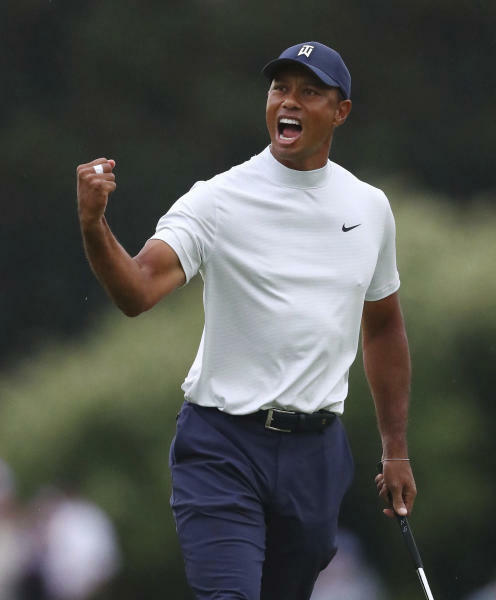 After enduring four back surgeries that left Woods wondering if he'd ever play golf again, he won The Masters on Sunday. "I was just trying to plod my way through the course all day". "When I tapped the putt in, I don't know what I did but I know I screamed".
" To have my kids there, it's come full circle". It's the first time Woods has won a major when he didn't hold the 54-hole lead, and sets a new record for the longest gap between Masters victories. And what a remarkable return it was for Tiger Woods.